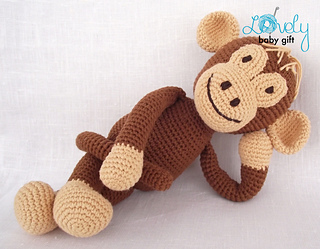 This monkey is easy to make if you know all the basic crochet terms. 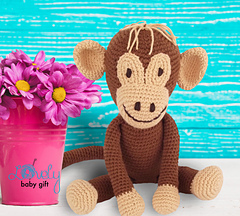 Pattern comes with lots of photos illustrating the process to help you. 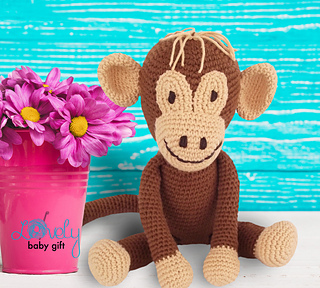 Pattern can be made with sport or worsted weight yarn. 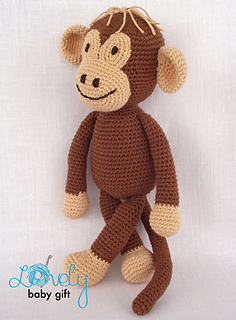 The finished monkey size is about 12.2 inch (31 cm) when done with sport weight yarn and size C crochet hook (2.75 mm ). 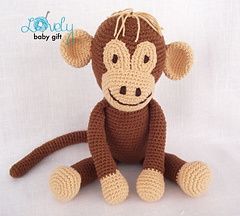 The size of monkey may vary depending on the size of hook and yarn you use.